*Please note that orders with shaving creams may take an additional 1-3 days for shipment. Barbasol Extra Moisturizing Shaving Cream is formulated specifically to restore and lock in moisture with vitamin E, aloe, lanolin and other moisturizing ingredients. The premium Close Shave® formula, with quality ingredients, produces a rich, thick lather and exceptional razor glide. 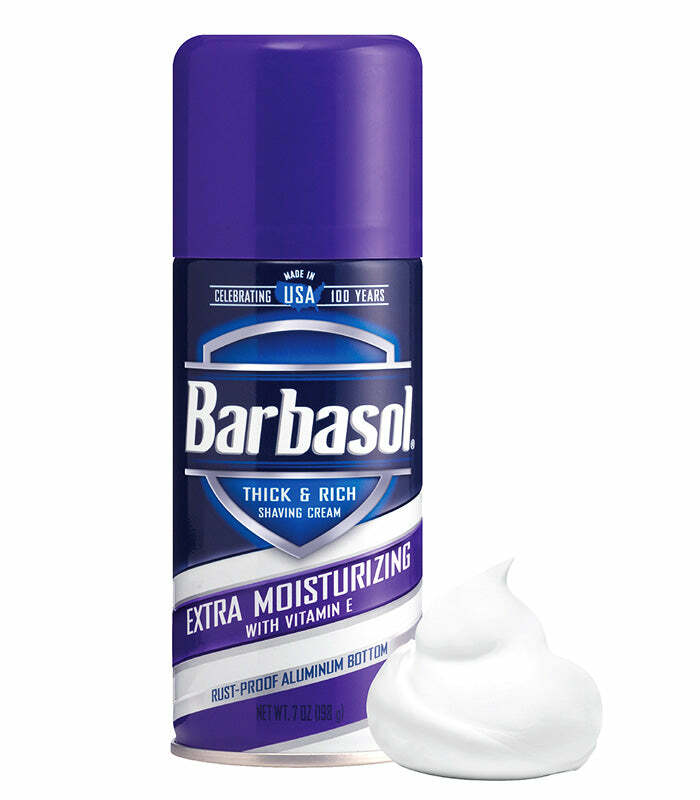 Barbasol Shaving Cream gives you the confidence that comes from a close, comfortable shave. Water, Stearic Acid, Triethanolamine, Isobutane, Laureth-23, Aloe Barbadensis (Aloe), Tocopheryl Acetate (Vitamin E), Lanolin Oil, Cetyl Alcohol, Chamomile Recutita (Matricaria) Flower Extract (Chamomile), Chondrus Crispus (Carrageenan) Extract (Irish Moss), Propoxylated Stearyl Alcohol, Dimethyl Lauramine Oleate, Sodium Lauryl Sulfate, Propane, Fragrance.